13c Bicentennial July 4, 1776 Stamps Sheet of 50. 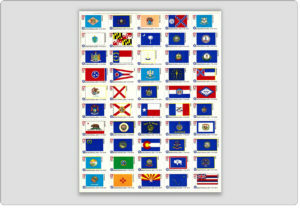 The Bicentennial Series was a lengthy series of American commemorative postage stamps. 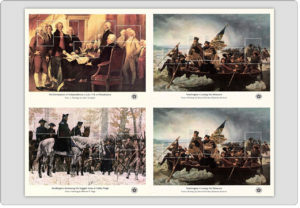 On January 1, 1976, a set of three stamps (lacking any text related to the Bicentennial other than the words SPIRIT OF 76) was issued, showing the well-known painting. On February 23, a pane of 50 stamps with the State Flags was issued, each stamp containing the Bicentennial logo and the words “BICENTENNIAL ERA 1776-1976”. 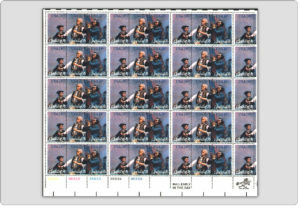 Four souvenir sheets were issued for the INTERPHIL international stamp exhibition in May, showing famous paintings depicting Revolutionary War events. 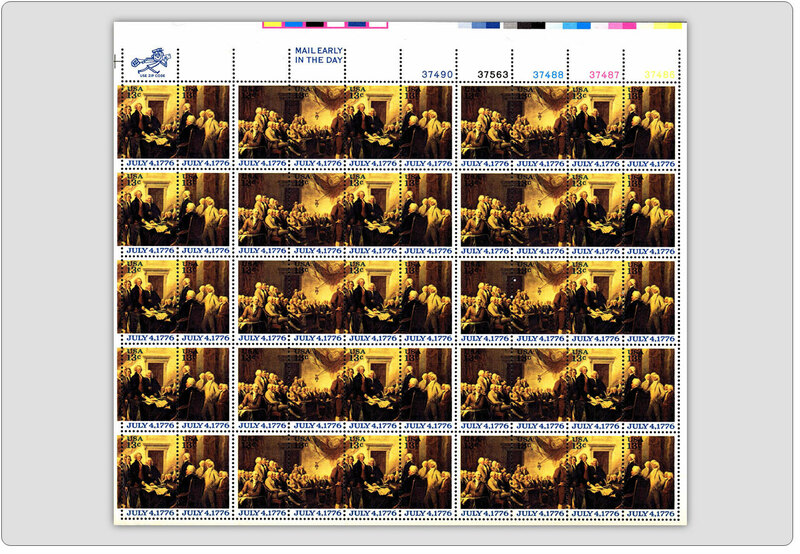 Originally, the United States Postal Service had planned to issue another 50-stamp pane, showing the entire Declaration of Independence. Plans were shelved after the American Philatelic Society threatened the USPS with a “black blot” for excessive stamp issuance. 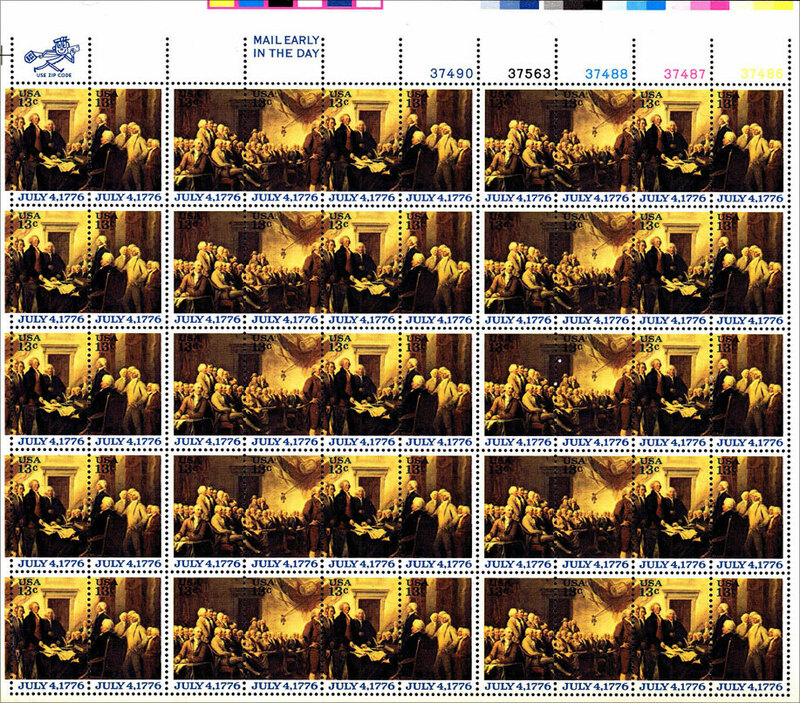 Instead, a strip of four July 4 1776 Stamps with part of the John Trumbull painting showing the presentation of the Declaration (often believed to show its signing) was issued on July 4. Subscribe here to stay current on our latest news and products. The Sheets are in fine-very fine condition. An important addition to your collection. Also makes an attractive wall hanging design framed and displayed in your home or office. Shipping is free on all products. Normal delivery time within 5 days or earlier after payment.